In this digital age, it is all to easy to jump to the conclusion that online marketing is dominating over offline marketing methods… but is it fair? Just like “video killed the radio star” (as the song goes), can online media really kill the once all mighty print media star? One dinosaur of print media which seems to be, all too often, in the firing line is the Yellow Pages. Sure, on an environmental level, the Yellow Pages [physical book], may be seen as a colossal waste of paper but what about its effectiveness? It seems that those who are most aggressively against the Yellow Pages are typically the ones who have the most to gain from its demise – namely online marketers, SEO and SEM companies. Q1. How often do you use the print version of the Yellow Pages? Q3. How often do you use Google? Q4. Do you know what SEO stands for? Q5. How do you choose what to click on Google? A very interesting sidenote to this survey emerged in relation to search engine optimization (SEO). Whilst 100% of respondents use Google every day, only 7% of respondents knew what SEO was. Unsurprisingly where people chose to click next, on the search engine results page (SERPS), was heavily weighted towards the top of Google with 100% of people claiming to only browse the first page of search results – 46% of respondents concentrating on the top 3. 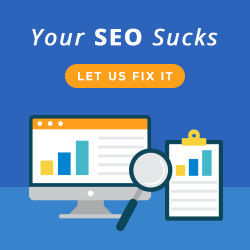 For us, it became even more clear that an “SEO Knowledge Gap” exists. Browsers find the few first results in the SERPs the most relevant and important whilst having no clue as to how Google works. People simply trust Google is providing the best information. This represents a great opportunity for businesses to capitalize on the trust people have with Google’s brand. 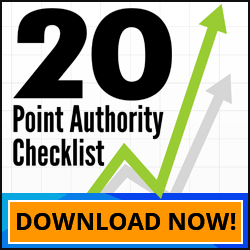 If your website features more prominently on Google, your website is automatically seen as the authority. 1. Will online media advertising kill offline print media? 2. Does this signal the end of the print version Yellow Pages? 3. Is online marketing and SEO a more effective, better value for money, form of advertising? We don’t have any hard numbers but we are working with a client who tracks everything and he’s finding that we generate him x3 as many customers per month through SEO vs Yellow pages and it costs him a third the price. We’re improving this ROI each month but it gives a great insight as to what you can do with excellent SEO. perhaps I missed it, but how many people total were in this survey? 100? 50? 1,000? Hey JP, whoops… we should have put that in. It was around 50 people 🙂 Probably not the most statistically significant survey but still very telling. It would also be interesting to ask some local business owners if they using the YP to advertise their products and services. Very interesting stats. I guess however for so long as there is a knowledge gap in terms of the real benefits of Seatch for all business not just those with an online presence, the Yellow Pages and other print directories still have a market. If most people don’t know about SEO then most business’s won’t. I think the key is too ensure people are not scared off in the early days buy SEO companies looking to baffle budget. Once people see the benefit of a good search ranking and the measurability benefits then the offline market should worry. @videoseo: True. Most of the people I know, when they ask what I do, and I tell them SEO, I get blank stares. I explain what it is and they answer a collective “ahhhh!” Though the stats above are concurrent with my experiences, I have encountered people who don’t even use the Internet save for checking their mail. There is still a market for print directories (my father is one, who still gets his yellow pages every year). But I predict in a few years, the whole world will adapt to the idea of SEO and its benefits. My dad, who still uses the yellow pages, has finally succumbed and joined facebook. Even my Grandma uses it. Maybe today SEO can still be quite obscure but in a few years time, it will be the and all and be all of all marketing. I would like to contract with you to do optimized webpage indexing on a large scale or What we call the MATiSystem (Mass Accelerated Traffic Indexing System). This is a process where my team can put together an SEO run that can uniquely index 1000’s of webpages extremely fast. These pages are content optimized, keyword specific, geo-targeted and can be linked to update social media networking sites. @Franz and @videoseo: I walked past the local IT school this morning and surprisingly saw a banner announcing the first SEO course ever in our city. The thing is, they were offering it to people who wanted to make money online at home. I think that there is still this prevailing belief in many locations that SEO is for making money at home with small niche sites. Of course that’s partly true but SEO is now also for helping small, established offline businesses gain greater visibility. In our city, businesses still rely on advertising and getting listed in print directories mainly because nearly everyone else still thinks in print and hardly ever use the internet to look for anything (by the way, I also get those odd stares when I tell people what I do for a living; some think I work in an internet cafe as an attendant). You’re right though Franz. I think it’s only a matter of time before our little corners of the world catch up and realize what SEO is and what it can do for business. Very good guys! Well done. From one SEO professional to another, this is exactly the kind of information that makes a compelling case for the industry to sit up and take notice. For one, I can’t even remember the last time when I seriously looked for Yellow Pages book for information. Also, this is a good way to show other businesses that indeed ‘going online for information’ is here and print directories are almost obsolete, IMHO. Fantastic research here David, thanks for publishing it, here in the UK I would be amazed if the results were any different. Funnily enough though I’d say out of 10 SEO service enquires I get at least 50% of them are spending at the minimum the amount my SEO services will cost them, so this kind of data is fantastic for me to have to hand… there aren’t many blog posts that I print off to take to new client meetings – but this is now one of them! 😀 Cheers, Stuart. That is really interesting- I called a while back about getting yellow pages advertising and I remember it was soooo expensive!!! Read this article and really thought that anyone doesn’t use print version of yellow pages anymore. SEO, I think is important if you really want to rank at the top of search engines. An interesting survey. How great is this for the environment! With the demise of the Yellow Pages, there will be hundreds, maybe thousands of trees saved. How good is that? I too was surprised when I read an email update today about one of the top universities here in the country offering a course that claims (as per the email message) that you will be a certified digital marketer of sorts. They have different (short?) courses/subjects ranging from blogging to internet marketing. I guess offering these types of courses is the trend nowadays. If that is one of the reasons to let go of Yellow Pages then I am for it. Maybe that big book was really useful before, but times have changed and having these on our homes isn’t a necessity at all (just a thought). I came across this post while searching for details regarding the newly released April 2011 study AT&T ran about the high prevalence of print yellow pages (PYP). I could not find the survey metrics for the three sources cited in reputable coverage of the AT&T study (articles on WSJ.com, EIDQ.com, and yellowpages.com). Naturally, I question any survey research on whether any bias was involved. I was wondering if you had any viewpoint on the recent study which so clearly counters your study here. (Granted, yours was informal with a small sample size, but seems more representative of current norms anyway.) Thanks. Thanks for stopping by. Do you have a link to that study? Happy to look into it a little more… that said, as you noted, it’s always important to note if there’s any bias – even our mini survey would have some bias built in even if at an unconscious level. Perhaps I am biased but I know what I see and I know what I do – when I’m looking for a product or service I don’t use the yellow pages anymore, I use Google. How about you? Ps. I have a coaching client who used to work with the Yellow Pages and he told me he left after his advertising revenue dropped 50% over the course of a year. Small business just isn’t getting the return they used to from YP. Google is a giant and nobody can stand in front of it. It has become very popular and has left behind all others. Hi David, here’s the AT&T study I referenced: http://www.att.com/gen/press-room?pid=19592&cdvn=news&newsarticleid=31783&mapcode=advertise-publish|mk-local-search I didn’t want to post the link intitially since some bloggers prefer comments to be link-free/worry about seeming like a spammer. Let me know what you think of it. To answer your question, I solely use Google or an online search when I look up anything, anywhere. Sometimes I go to the public library or bookstore. That’s safe to say for now. I wonder if Bing is up to something grand, and that’s whats going to excite Google in the next few years. But for now, Google is the King of Search and they’re enjoying every bit of it. Nice video. What a waste of money and paper YP are! I usually use mine every year making a camp fire in the garden 🙂 It is also interesting to see how many people know how to use Google and where to find information, but most likely have never put a site on the web. Google would be a lot less in Australia without Yellow Pages for Business Listings. very funny…!! great editing too…..
Nice to have our suspicions about the Yellow Pages confirmed. Thanks for the study. ha – great video and so true!! You’d think in these current changing times, that yellow pages would at least reduce their rates…… stupid not to if they want to survive….. I still use the Yellow Pages……for paper mache creations with my daughter 😀 Loved the vid. Many people never use the Yellow Pages. Somehow that thick book can be a bit intimidating. Just looking at it shows how much work is involved which is time consuming. The web is the place to go for quick answers, find products and services, etc. Now that mobile devices are connected to the web, paper print book listings, advertising and so on are becoming obsolete. Ya I actually always wonder. With “new world” company like Google sprouting up, what happens to yellow pages. People can now advertise on Google, or submit their business listing to Yahoo. So, why should people still go to Yellow pages? Top video! Love it. 🙂 Yellow Pages is great ….. as a door stop, a spider killer (thrown from a good height), paper airplanes, scrapbooking. Sorry Yellow Pages. 1. your’ re right when pointing across that its a dying medium of advertising, but it is not dead as of yet. 2. on a SME level, it works quite well for every day used services IE/ plumbers, electricians, locksmiths etc. 3. Online presence is pioneering the future and it is of utmost importance that your presence there is prominent…. HOWEVER, it is market dependant. the people of the “new age” are more online focused, but our old school generation has just thinned out and disappeared. 4. with that said, there is still a solid market out there (yes a declining 1) and the yellow pages can still be of benefit to many businesses. 5. your survey was biased in that you were steering the boat in the direction of SEO already, you kinda just subtly used subliminal hints. its also a form of advertising lol! 6. the yellow pages SA has come to realize that print is a dying (not yet dead) medium, and as a result has partnered with google. i am now not only a Yellow Pages book/online advertising Consultant, but also a registered reseller of GAC and SEO campaigns. 7. all business avenues must be considered and no matter what anyone says, EXPOSURE IS EXPOSURE and you should never limit yourself to just 1 market and neglect the other. because REVENUE IS REVENUE and we need not only to survive as businesses today….. we MUST EXCEL!!!! it may just be that im wrong because im from a “3rd world country” but i doubt it. because having visited Ireland, The US and the UK (all who have yellow pages), i came to realise that FORCING people to seek other mediums with the entrapment of the NEW TECHNOLOGICAL AGE is something heavily “marketed” nowadays. rafeeq… I think the whole point of the video was to show a bias towards SEO and they’re not trying to hide that. Great video Dave! I certainly agree with the findings. If I’m looking for tradies I often use a local paper but for anything else its definitely online and google. Because of SEO and the bad practises companies are using I tend to do more localised searches than google to find quicker results. I think the majority of Internet users are getting more confident with Internet searching and you will soon see people realising that just because a website is manipulated and paid to be at the top of the google results does not mean it is what you were looking. As peoples knowledge grow of how something like google really works you will start to see people simply adapting to go to page 2 or 3 to find the real companies and products that don’t need to pay for their ads which says to most people “If they pay to be on page one” it will mean I then have to help them pay for their advertising hence making the products/services not of better quality but simply more expensive. Glad to see Yellowpages catching up with the times and competition and providing more visual content online with business videos and photos and glad I haven’t received a printed version of the white or yellowpages in a couple years now. The tide has definitely turned towards online localized searching, however, it is understandable that there is a population that will continue to use printed YP directories for lack of computer literacy, computer ownership or Internet access. Many of us have our favorite BiziSquare.com, Dexknows, Yellowpages or Yelp. I favor these because they provide me the ability to see a visual intro to a company. The only two people I know who still use Yellow Pages are my grandmother and grandfather. Thank you for your article and the survey results. Agreement with a survey’s intent, methods, questions, or results isn’t always relevant. It’s important to remember that data has been collected which gives insight that, like all data collected, is up for interpretation. From a quick search on the internet, it seems that SEO companies are the ones trying to discredit printed directories – hardly surprising. Printed directories contribute significant amounts of money to the economy by way of employing local people to produce and distribute books. How many locals does google employ? We pay our far share of tax too, how much tax does google pay? We reinvest our profits back into local communities and support local clubs and charities, do you? Does google? We collect and collate quality content, google merely aggregates the content. One last point, the only complaints we get each year is if a business misses out on advertising, or worse still, a new business that hasn’t bothered to contact us for a free line listing – they still scream blue murder. Thanks Local Book for taking the time to post on the blog and I appreciate your feedback. Please understand that we are not writing off local directories completely. In fact, I think in some instances there is still both a need and benefit for having such directories, particularly in localised situations and especially with older demographics. That said, the fact is the way people find products and services is changing and not to recognise this is just disregarding the facts. People go to the internet for product and services that they are looking to use and they’ll use Google to find best solutions to those problems. I understand what you are saying with regards to SEO company discrediting the printed directories, and obviously they have vested interest in online marketing. With that said, directories such as the Yellow Pages do not deliver the same return on investment for their marketing dollar than they once used to – and this is the fact. I can’t really comment on how much tax does Google pay nor can I comment on whether or not they re-invest back in local communities, local clubs and charities. Obviously on the latter, I don’t think that they do, but this is beside the point, we are talking about small business and what gets them the best results. Finally, with regards to your comments about web designers and SEO’s, I understand and agree that our industry is not regulated and sometimes bad providers can tarnish the industry. There are good providers out there, but just like any industry there are also bad ones as well. I suggest you do your due diligence, find a good reputable web developer and SEO company and you’ll find you’ll get return on your investment. Again, I appreciate your feedback. Wishing you all the best and be happy to chat in more detail. If there is anything we can do to help please let us know.